I’ll get right down to business because I have so much to share with you this week. Last week we had unplanned visitors, so I failed to choose a featured post, but I’m making up for it this week. Second, I want to mention Kathryn’s post, The World’s Less Than or God’s More Than, because it goes right along with Christi’s post from above! 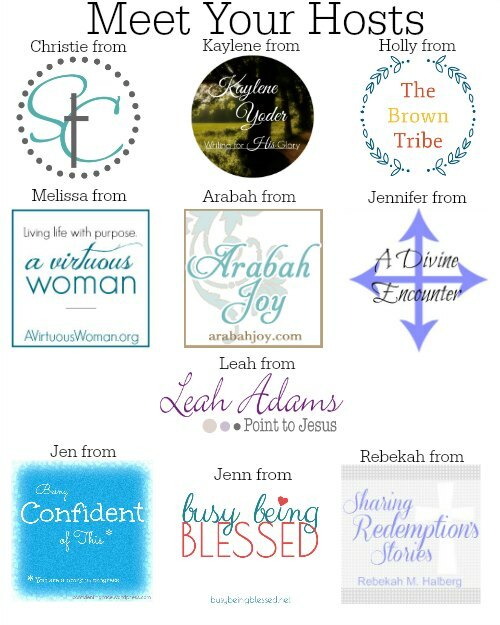 Stop by and find more encouraging words about your identity in Christ. 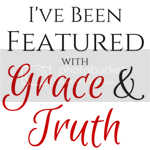 Third, Cheryl’s grace-filled post, When Your Child Feels Misunderstood, for parents really had something in it for us adults, too. Whether you have children or not, this one is a must-read! I blame it on my prednisone-induced insomnia. In all seriousness, though, I could have shared every post I read here this past week because the quality was just “that” good. Thank you all for sharing with us each week. With Valentine’s Day just around the corner, I’ve been thinking a lot about love. How we love our husbands, how we love our children, how we love neighbors and friends and even the church. The agape love we are called to is a mighty force when we see it in action. It’s a beautiful, awe-inspiring thing! Unfortunately, we often miss opportunities to demonstrate such sacrificial love in our homes, our communities, and our churches. Amen, sister! I’m realizing that over the last decade or so, the Lord has been tearing down the human constructs in my marriage and rebuilding new ones based on Christ! Be sure to stop by and read the post for yourself. You can also catch Christy on facebook. I pray that as we go into Valentine’s weekend, we’ll be overwhelmed by the Father’s love, which will overflow in agape love towards all of the people in our lives! You can also find Aimee on Google Plus, Twitter, Facebook, and Pinterest! Now, on to this week’s link-up! 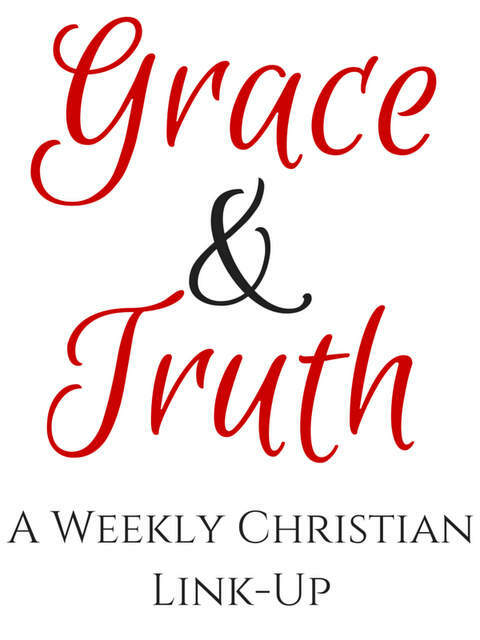 What a great beginning we had last week for the Grace and Truth Link-up! One of my favorite jobs as a co-host is to read through some of the encouraging posts you all left for us. It’s a lift to my soul! And let me tell you, I had a hard time choosing a favorite to feature this week. However, this post from Donna about wrestling with the small things really resonated with me (and with several others, too, from what I saw). It’s my must-read for the day! Her honesty about having “survived” worse, yet still struggling, reminded me a lot of my disappointment over my one word for the year. We grow weary of suffering, of lesson-learning sometimes. Yet, as Donna mentioned in closing, our God never gives up. He is faithful! I also really enjoyed the word picture that Tammy painted in regards to lilypads. You simply must read it for yourselves, as well. I look forward to what you all have to share with us this week! 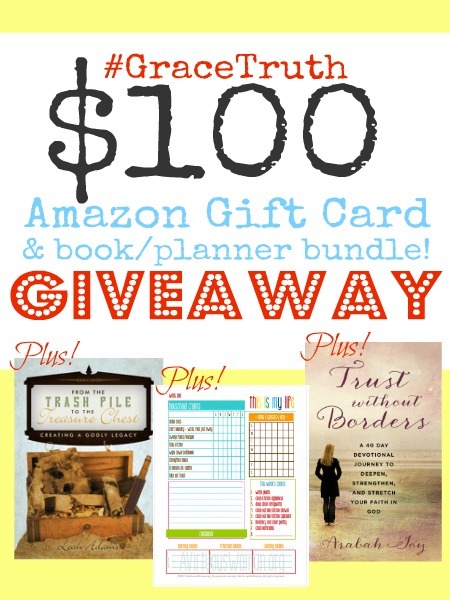 Don’t forget there is still onne week left to enter this amazing giveaway! Finally, join the link-up below! Hello, Loft crew! We made it through another week – whew! 🙂 Did you find it hard to choose a favorite from 2014 to share? I certainly did. I think I’m finding myself as a writer more this year, and so the choosing was difficult because I actually like some of what was written. That’s an exciting thought, but also a little scary because it means I’m putting more of my real self out there. In the end, it was a close tie between the post where I talked about my fat-girl insecurities and another one. Since I’ve already shared about my fat-girl insecurities with The Loft crew, I decided to share something from earlier this year about choosing the struggle, fighting the fight, even when it feels like we might not be winning. Look for it in the link-up. I can’t wait to read YOUR best from this year, too! If you are new here and want to join in, it’s an easy week to do so. We’d be happy to have you as part of our community of writers! 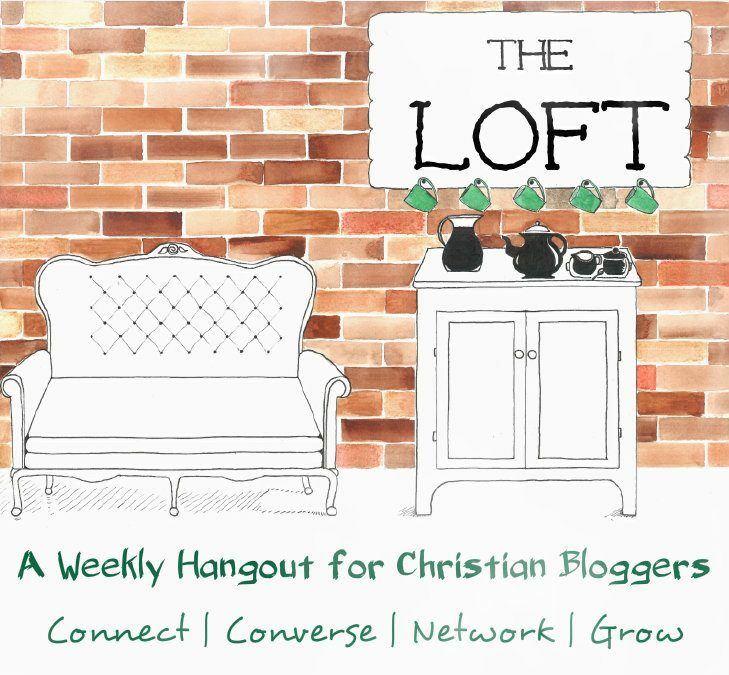 While there are many link and leave blog hops out there, we are different in that we ask that your link stick to the weekly topic. This fosters community and conversation. It also helps us practice “topic” writing as bloggers. Please mention The Loft in your post so we can find each other. Thank you so much! 3. Be a community. 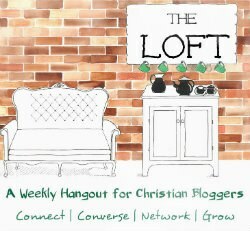 Include #TheLoft graphic and/or link back in your post so we can find and share with each other. Also, share the great stuff you find when you visit around…we’ll be doing the same. Praying you all have Joyful Thanksgivings (for those in the U.S. that is)! Well, seeing it is Thanksgiving week, we want to actually GIVE THANKS. So this week, we are playing Thanksgiving Tag! We are taking to the social media streets this week, tagging people we are thankful for! Since we won’t be doing this week’s topic on our blogs, there won’t be a linky this week. The linky will be back up next week. That’s it! We are thankful for YOU, for your contribution, for being part of this community, and we all wish you and yours a very Happy Thanksgiving! PLEASE NOTE: While there are many link and leave blog hops out there, we are different in that we ask that your link stick to the weekly topic. This fosters community and conversation. It also helps us practice “topic” writing as bloggers. Oh, and please mention The Loft in your post! Thank you so much!